Puto is a popular Filipino steamed cake, whose main ingredient is either all-purpose flour or rice flour. Of course, the rice flour version has a definite edge over texture and taste but if you do not have this, regular flour will do just fine. 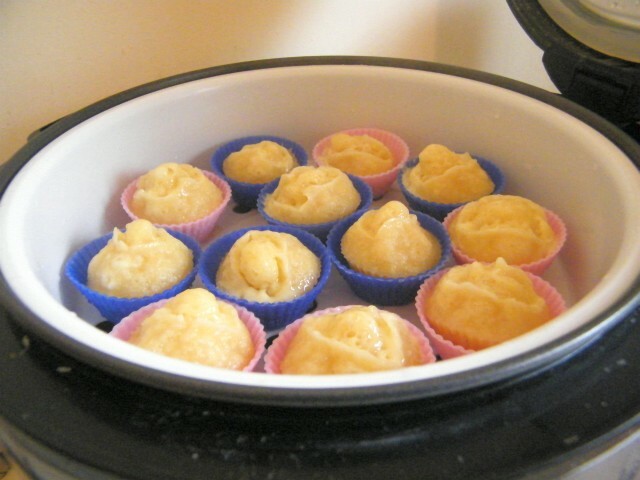 Which is how we found ourselves in today when we decided to try out the steamer function of our rice cooker by cooking puto. 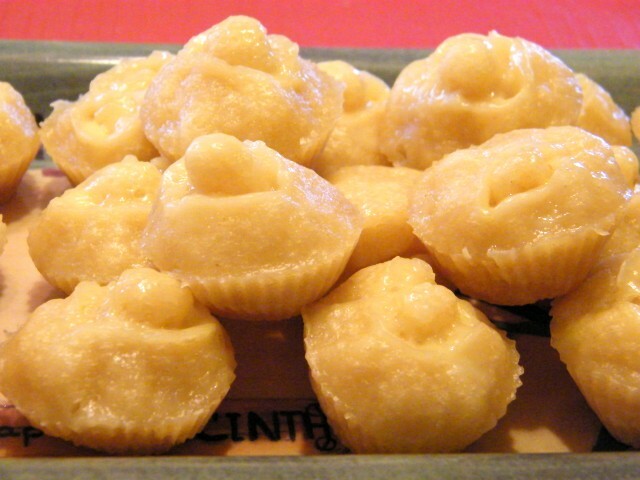 We do not have puto molds, however, and so we decided to use these ones for macaroons hence the mini puto variation. 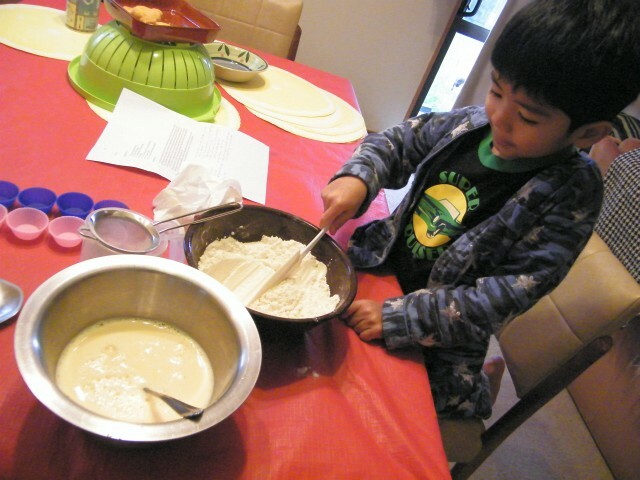 Mix flour, sugar, and baking powder in a bowl. In another bowl, scramble the eggs then add the milk and the water. Mix well. Fold this into the dry ingredients until batter is thoroughly mixed. If you do not have non-stick molds, you will need to grease those so the puto will not stick. 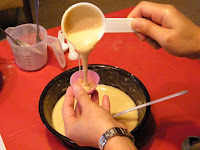 Fill the molds, then top with a slice of cheese. Operate steamer as per cookware instructions. 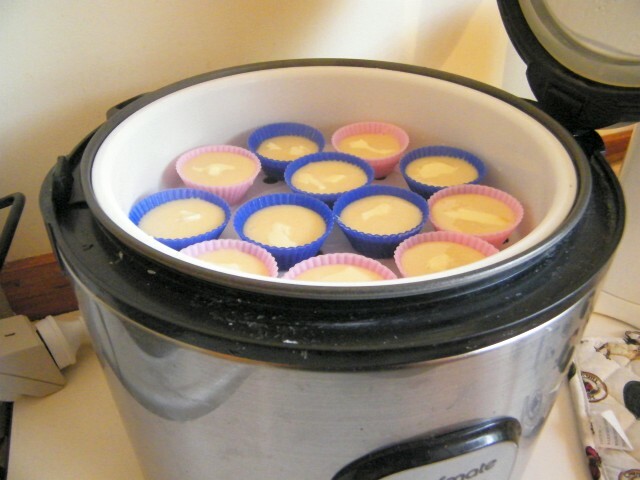 Steam the puto for about half an hour per batch. Let it cool a bit before serving. This recipe makes 90-100 pieces mini puto.